Moorehead describes Mounds 24 and 25 in his 1929 report as the Edwards mounds. Mound 24 is shown on the Patrick Map as a small, conical mound in the east-west line of Mounds 19 to 26. It is almost equally distant from Mound 22 to the west and Mound 25 to the east. Mounds 24 and 25 may be associated with Mound 22, which is a larger, oval shaped platform mound. Patrick’s is the only early map that locates Mound 24. 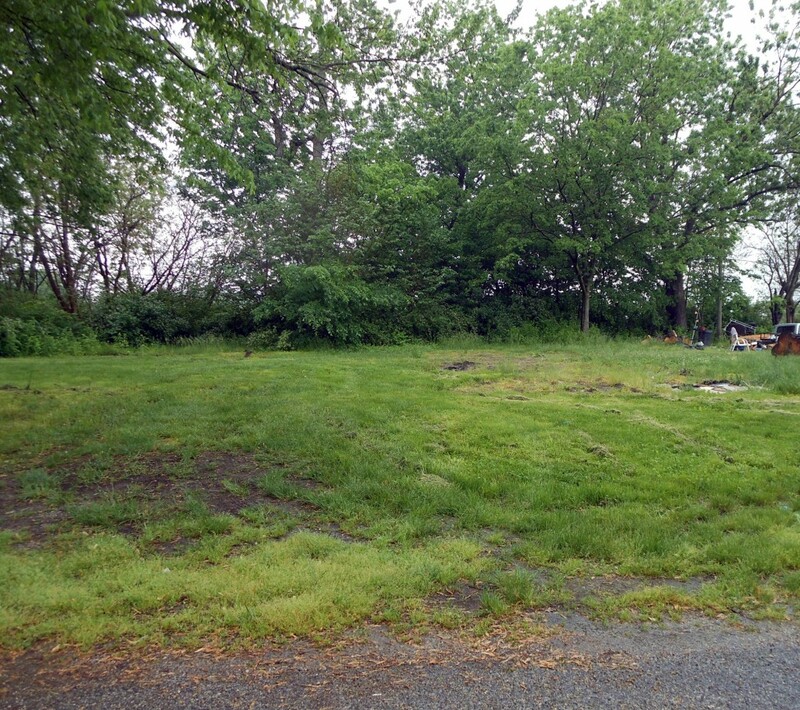 Ground surveys indicate that the base of what appears to be Mound 24 is in part of a yard of 3209 West Point Street in State Park Village. Portions of the mound extend into adjoining lots. Moorehead reports he excavated in Mound 24, where he found an extended skeleton at a depth of 4 feet (1.2 meters). Near its head were some flint chips, two or three flint knives, and pot sherds. His report suggests that he dug a trench 60 feet (18.3 meters) long and 20 feet (6.1 meters) wide through the mound and that throughout this excavation were fragments of broken pottery. According to Moorehead (1922), the preliminary Cahokia survey was made in September to October 1921, and it was at this time that he explored the Edwards mounds (particularly Mound 24). He did not identify them by number until writing later reports (Moorehead 1922: 21-22). The aerial photographs and the above citation suggest that he returned and again excavated into Mound 26 in 1922. However, in his later publication (1929: 37), Moorehead identifies this as Mound 25 and says that it remains to be explored. Through all of this Moorehead apparently had Mounds 24, 25, and 26 confused, since in his early work he had not applied the Patrick numbers to the mounds. It is my assumption that he started excavations in the fall of 1921 and only later utilized the Patrick Map of the site and applied its numbering system. There is some confusion in Moorehead’s notes in regard to locations of mounds and which mounds he actually had excavated. The aerial photos explicitly illustrate excavations on Mound 26 and trenching in Mound 25. Hence, Moorehead’s reference to Mound 24 may actually apply to Mound 25, and his testing of a mound 400 feet to the east would refer to Mound 26. Scaling from the Patrick Map, the distance between Mounds 25 and 26 is much closer to 400 feet than is the distance between Mounds 24 and 25.